Ever since it was announced in 2013, the 20th Century Fox World was to be the studio’s first ever theme park. The theme park garnered plenty of attention, and its delayed opening only served to hype it up even more. Just as it was slated to open in the first half of 2019, more bad news came through: it might not open after all. Genting Malaysia Berhad has sued Fox and Disney for pulling out of the deal. 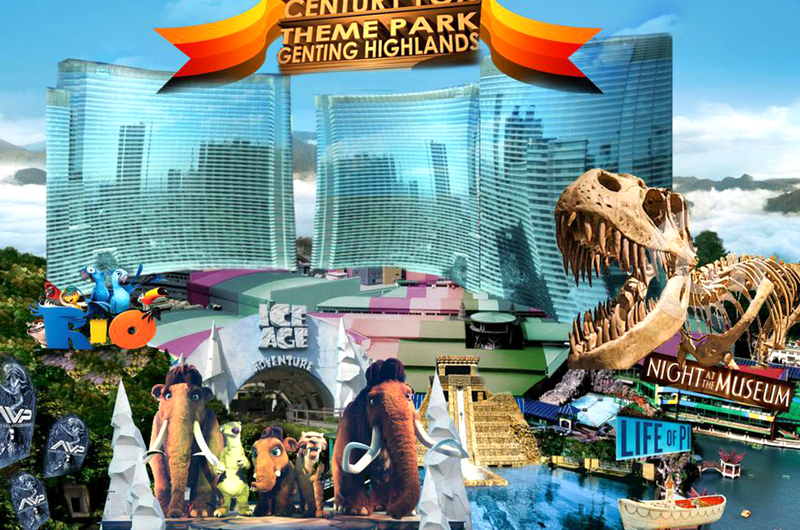 Back in 2013, news dropped about its first theme park, to be opened in none other than our very own Genting Highlands. The initial launch date was in 2016. However, its opening date has been repeatedly delayed, with an update that stated that it would finally be in operations within the first half of 2019. The theme park would feature characters from Fox animated films such as “Ice Age”, “Rio”, and “Planet of the Apes”. A specialty store has even opened earlier this year! Before anything more definitive could be announced, Genting has filed a billion-dollar, breach-of-contract lawsuit against Fox and Disney in federal court in Los Angeles. Genting has claimed that Fox is trying to back out of the deal, leaving the future of this theme park hanging by a thread. Fox has used the delays as justification to cancel the deal, but Genting says that Fox is in fact at fault for the delays. Throughout the development, Genting said that Fox has withheld or withdrew approvals and resources vital for progress. Regardless, there are currently several attractions that are almost complete, with a third-party compliance body recently granting approval to two rides. To make matters worse, Fox recently issued a notice of default, requiring the developer to open the park within 30 days – an impossible feat. Not too long ago, Disney acquired Fox. Genting is now blaming the Disney-Fox merger for this interruption. As we all know, Genting Highlands features a casino among other things. In order to protect its “family-friendly” image, Disney executives, who have taken the lead on the theme park project, opposed to the park as it would be near a casino. With these disagreements, progress has been halted. Will the theme park open? News just only broke, so we will have to wait and see. What’s your take on this? Do you agree with Disney wanting to maintain its “family-friendly” image? Let us know in the comments below!